To begin your ritual, clear any negative energy and set the scene by smudging, lighting candles and placing your crystals nearby. Bonus step: put on music or brew tea for added relaxation. Next, add ayurvedic oil and epsom salts to the hot bath water as it fills the tub. 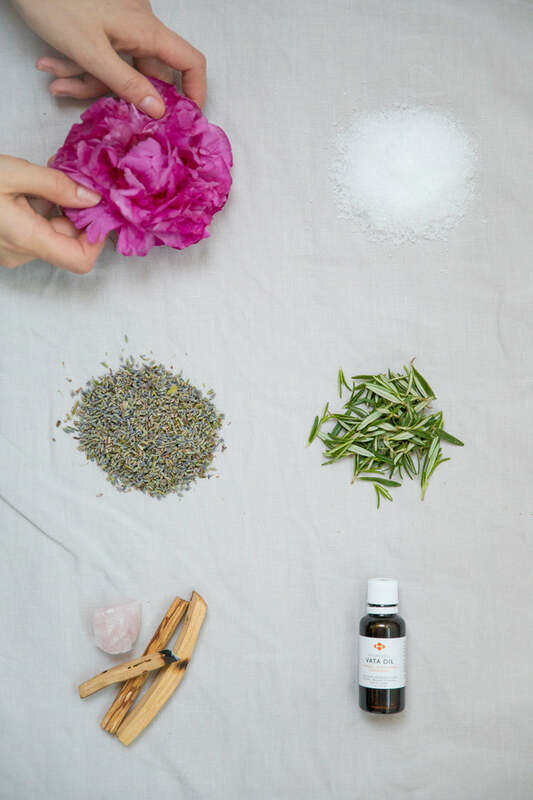 Crush flower petals, lavender, and rosemary in your hands to release the aromatics as you sprinkle them in. Lastly, breathe in the beautiful scent of your bath and step into your watery sanctuary. A bath can be ameditative ritual of healing and self-care. Use this recipe as a guide, but get creative and choose items that are specific to your needs. Make the most of your moment by journalling intentions for the year ahead, or meditate either with mantra or pranayama. 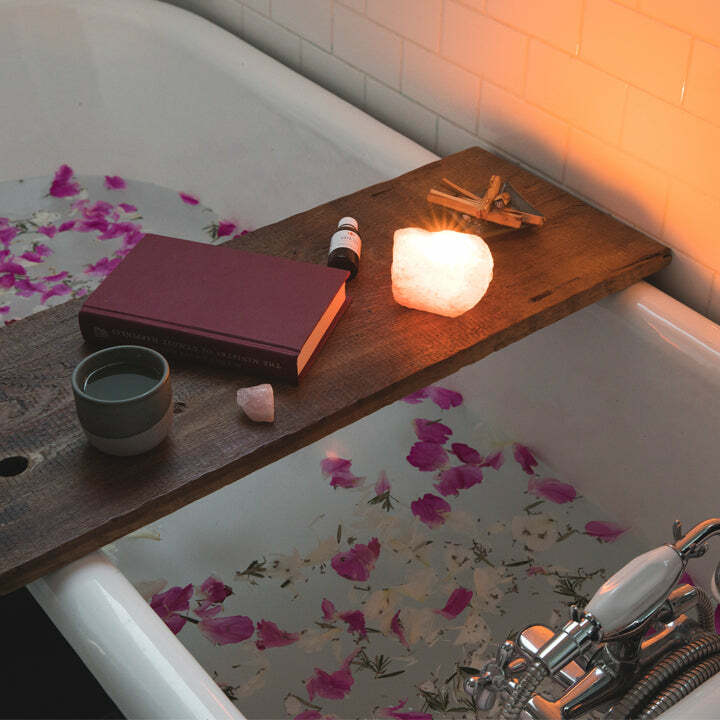 By turning your own bathtub into a sacred oasis, you'll not only calm your body and mind but you'll also give yourself space to set intentions for a wonderful year to come.